Vibration or energy is the root of all creation and manifestation. Our level of vibration is what creates peace, health, abundance, happiness, success and all the other end results that people seek. Which is why throwing more money at money issues doesn’t ever work or why you can do all the correct things for your health, and the body still doesn’t heal. Most or maybe all “problems” have been created in the level of thinking or mind consciousness, and they don’t change much by trying to solve them with the mind. them at the world level, but they are inviting you to raise your vibration? How does one raise their vibration? raising your vibration is already within you. The Breath! The breath is the bridge between the conscious and subconscious, the finite and the infinite, the physical and the metaphysical. When used correctly the breath can be your magic wand. There are no words to capture how magical and profound this journey will be. Zach was given the format of this journey in a download. Not only is the intention to raise your vibration to heal your own life but it also about creating a worldwide circle of beings coming together to heal the planet. The world will never end the wars with more war, and one could argue that governments might create more problems than they actually solve. Each one of us can heal the world by raising our vibration. THE ENTIRE WORLD is to raise your vibration? “It is impossible to use earthly words in attempting to describe an experience of the spirit. There was a connection made that I didn't fathom. Life after this experience has felt like someone clicked a deep internal switch to "on". 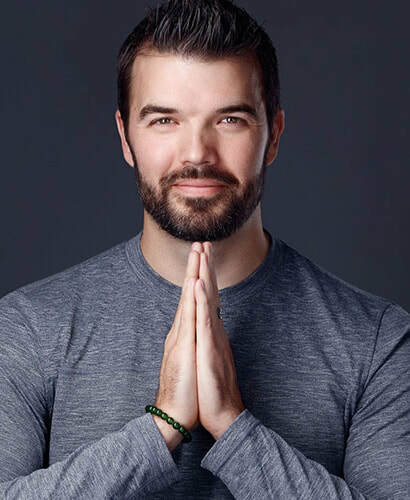 I will definitely be participating in Zach's next breathwork class." Are you ready to experience life from a new vibrational level? Just one session alone can be life changing. If you happen to miss a day, just jump back in the next day. Can I sign up after december 26th? Sorry, sign-ups close for good after December 26th. "When I gave into the control and let the breath-work do it's work, it not only felt so liberating to clear out old feelings I hadn't dealt with from years ago, but also felt so uplifting to really breath in the now and realize some of the things that truly mattered to me - not to mention a wonderful out of body experience where I was a butterfly! As we shared our experiences in the group after the workshop it was remarkable to see how the exercise affected everyone differently and the breath had helped people in totally different ways - as Zach says, the breath will serve you however you need it to at that precise time. I highly recommend the experience, even more so for those who feel nothing will happen and they won't benefit from trying this."